Provides a wonderful first school experience for young children. Located in Medford, Massachusetts, the Child Development Early Learning Center provides a wonderful first school experience for young children. It offers learning opportunities for early childhood development. Their highly qualified teaching staff are nurturing and provide a harmonious and constructive atmosphere that is happy and safe. 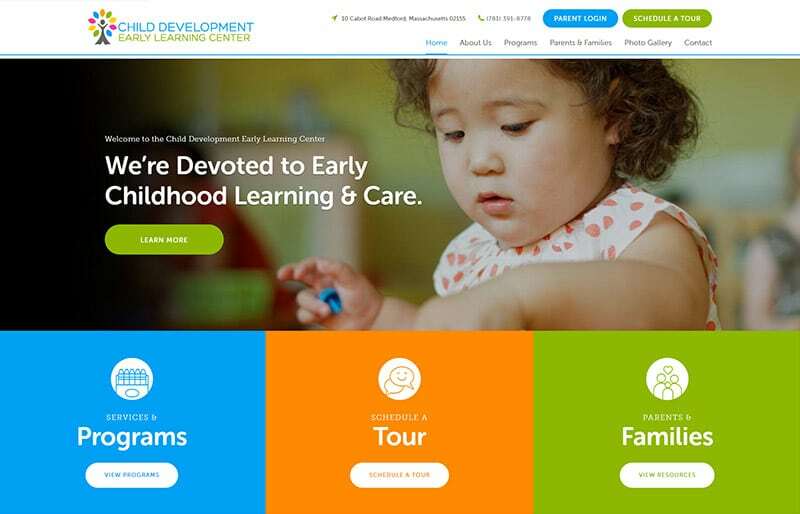 The Child Development Early Learning Center was in need of a new website so GoingClear Interactive designed and developed a site that captured the essence of who they are. 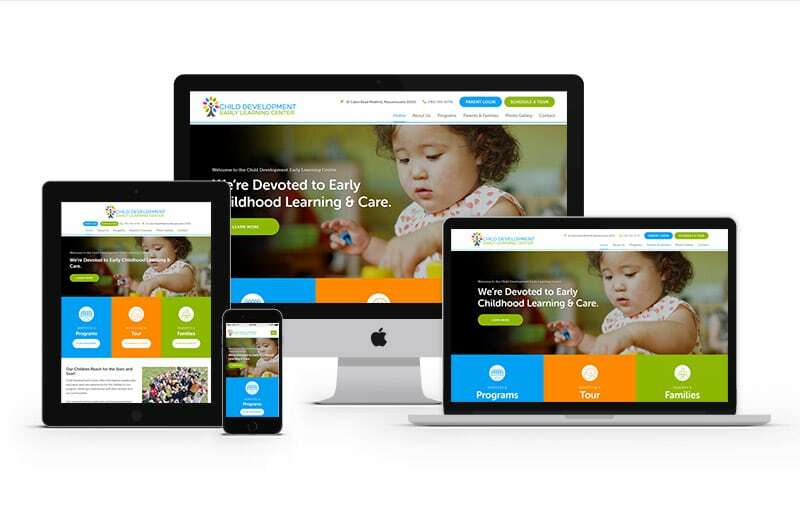 We did this by using playful colors, fonts and icons throughout the site, incorporated a responsive photo gallery, and designed a testimonial slider, where parents can read all the great reviews. We also developed a simple event calendar for location announcements and a customized parent login portal. Now, the Center is ready to show off how special it truly is!